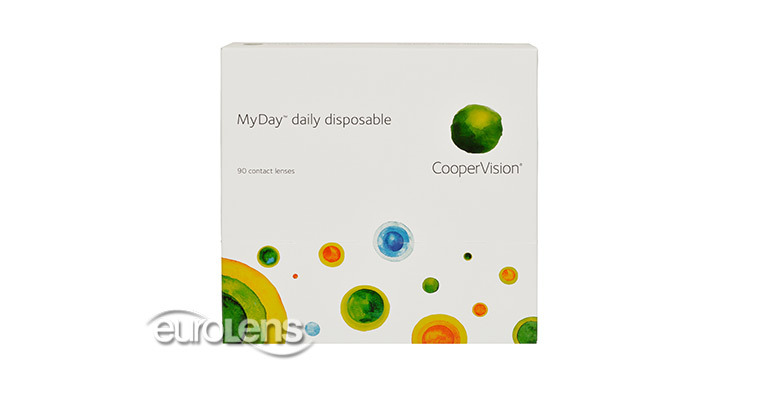 We at euroLens guarantee your MyDay Daily Disposable 90PK contacts (manufactured by CooperVision) to be 100% exactly as your optician, optometrist or ophthalmologist prescribed. Take advantage of our Lowest Price Guarantee (as low as €76.16) and buy your MyDay Daily Disposable 90PK contact lenses online from our safe and secure web site. The whole order process should take a few minutes. But if you encounter any difficulties at all, we'll be happy to take your order by phone. When you want fast, friendly service at great prices, we want you to think of euroLens.